Karolinum Press, Charles University, 9788024636993, 212pp. J. R. Pick (1925–83) was born, lived, and died in Prague. He published nine books during his lifetime and was best known for his plays, satirical sketches, poems, and epigrams. Alex Zucker has translated novels by Czech authors Petra Hulová, Jáchym Topol, Magdaléna Platzová, Tomáš Zmeškal, Josef Jedlicka, Heda Margolius Kovály, Patrik Ouredník, and Miloslava Holubová. His translation of Topol’s The Devil’s Workshop received the English PEN Award for Writing in Translation. He lives in Brooklyn, NY. 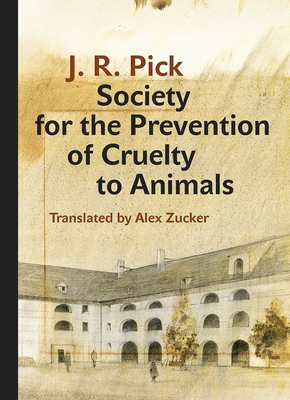 "Now here’s a subtitle. . . . Part of the Modern Czech Classics series from Charles University, translated by Alex Zucker, Society covers well-trodden Holocaust ground in surprising ways, including 'humorous,' insofar as that is possible. It’s 1943, and tuberculosis-ridden teenaged Tony has been deported from Nazi-occupied Prague to the Terezin ghetto. From his hospital bed he decides to start his SPCA, and convinces his friends and mother to support his care for a mouse he names Helga—the only living creature available. In 1944, the Nazis begin sending Terezin 'residents' to Auschwitz. Yes, things get darker. So does Pick’s humor, which is based on his own teen years in Terezin. Although the author died in 1983, his sister Zuzana helped Zucker with details. Highly recommend."